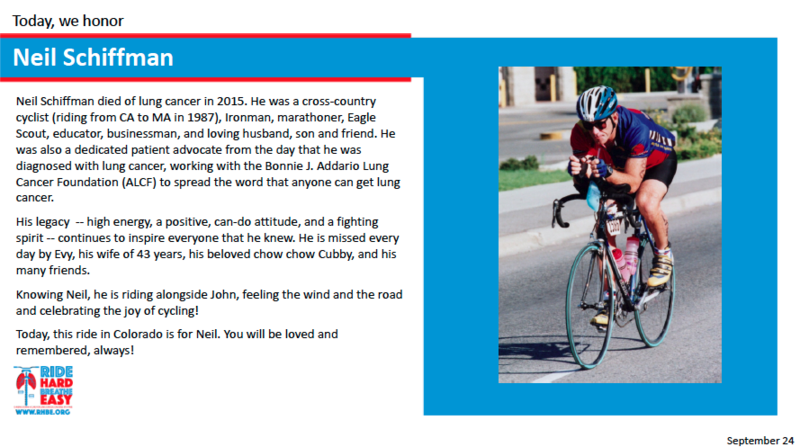 Each day of the ride, we will honor someone who has been impacted by lung cancer, such as patients, survivors, caregivers, doctors, nurses and anyone who wants to change the course of lung cancer. 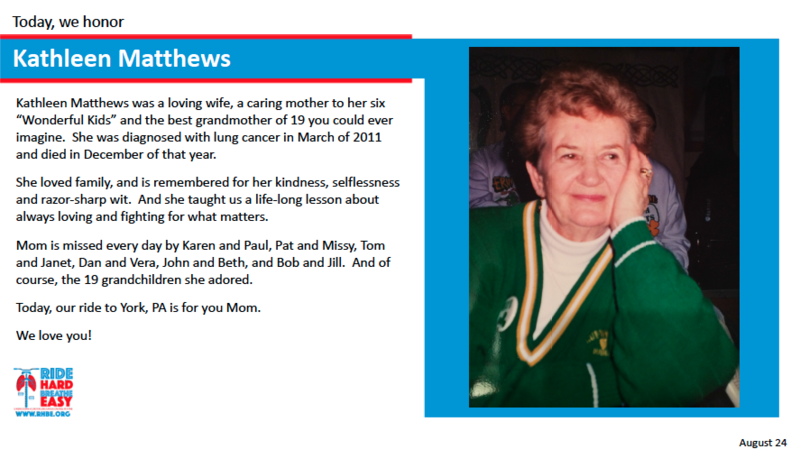 In addition, we will have a tribute every day in November which is Lung Cancer Awareness Month. First, send an email on who you want included to tribute@rhbe.org so we acknowledge this special person. Secondly, we will ask you at a later time to send information on the tribute including name, picture and person's name and a preferred date for this tribute that will take place during the ride. We will do our very best to honor your request. See below for examples of tributes and contact us at tribute@rhbe.org so we can send the template.